The user terms of "Japan Real Estate Office" are listed. Please read this before using it. Aggregate (hereinafter referred to as "Company") declares User Terms as follows regarding the use of "Japan Real Estate Office" (hereinafter referred to as "Japan Real Estate Office") (Hereinafter referred to as "these Terms"). The user of "Japan Real Estate Office" (hereinafter referred to as "customer") shall use "Japan Real Estate Office" in advance agreeing to these terms. The content of this agreement is subject to change as necessary, so please refer to the latest User terms when using "Japan Real Estate Office". 1. Purpose of "Japan Real Estate Office"
In accordance with the procedure prescribed by the Company, you may conduct the registration procedure of "Japan Real Estate Office" member (hereinafter referred to as "Japan Real Estate Office" member) I will. We may make different services offered at "Japan Real Estate Office" with customers who are not members of "Japan Real Estate Office" or customers who have not completed the membership registration procedure specified by us. The contents of the services to be offered can be arbitrarily decided by the Company or changed at any time. "Japan Real Estate Office" For membership registration, use currently the most reliable encryption communication technology on the Internet, so that the information to be transmitted will not be seen by a third party It is encrypted. In addition, we are also introducing anti-virus software for computer viruses. 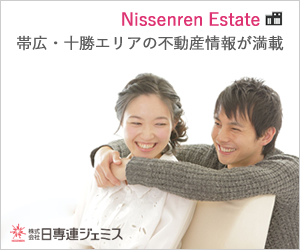 In order to provide "Japan Real Estate Office" to customers, we will acquire the necessary personal information of customers, but the purpose of using these personal information is as follows It is as follows. If you can not enter all the items, please understand that it may not be possible to use all or part of "Japan Real Estate Office". 6. About using "Japan Real Estate Office"
(1) Prohibition of diversion and resale of "Japan Real Estate Office"
 You agree to indemnify us for any or all of the "Japan Real Estate Office" we offer, acts committed to marketing activities or other commercial purposes or similar activities It shall not be used or accessed for the purpose of preparation for that purpose. In addition, we shall not use or access for other purposes such as religious activities, political activities etc. (2) Change / stop "Japan Real Estate Office"
We may change the "Japan Real Estate Office" we are offering to you depending on our circumstances. Also, please be forewarned that there may be cases where "Japan Real Estate Office" may be suspended when disasters, accidents or other emergencies occur. In addition, we will not compensate anything, even if you or the third party suffered damage by changing / stopping "Japan Real Estate Office" without prior consent of the customer. (3) Equipment required for use of "Japan Real Estate Office"
In order for you to use "Japan Real Estate Office" you need to access the web. As for access to the web, it is necessary for the customer to properly prepare and operate the equipment and software necessary for their own responsibility and cost, and as for the preparation, the method etc. for the customer to access the web We are not involved at all. "Japan Real Estate Office" is used at your own risk. In addition, we acknowledge in advance the following items. We do not make any warranty on the site operated by a third party linked from "Japan Real Estate Office". Please use it at your discretion. In addition, we will not make any compensation or involvement in respect of damage caused by the link destination, troubles between customers, etc. (1) copyright, trademark right and other intellectual property rights relating to the content and individual information, trademark, image, advertisement, design etc contained in "Japan Real Estate Office" and All other property rights belong to us or a legitimate right holder. (2) "Japan Real Estate Office" and all related software used contain property rights protected by intellectual property laws and regulations etc. (3) In the event that you are authorized to use / use from us, third party with copyright or other intellectual property rights and other property rights, or by law Edit, modify, publish, reprint, publicly transmit, distribute, distribute, and distribute the contents of "Japan Real Estate Office" and "Japan Real Estate Office" unless authorized to use or use without permission from the person. Selling, offering, translation / adaptation, etc. Any other use or use should not be performed. (1) When you use "Japan Real Estate Office" you are prohibited from doing the following acts. Make a false declaration when registering for "Japan Real Estate Office"
(2) In the event that the acts judged by the Company to be inappropriate in light of the actions that fall under each item of the preceding paragraph or the purpose and purpose of "Japan Real Estate Office" are made, May suspend the use of "Japan Real Estate Office" or any other measure deemed appropriate by the Company (hereinafter referred to as "suspension of use") to the customer, Regardless of whether or not the customer is responsible for the responsibility, the measure can be made based on our discretion and judgment, and we can not answer the customer any reason why we have taken measures to suspend the use In addition, we are not responsible for any damage caused to the customer due to suspension of measures. (1) If the "Japan Real Estate Office" member wishes to cancel, we will carry out the predetermined cancellation procedure of our company. (2) The member of the "Japan Real Estate Office" reserves all rights and benefits related to the account of the member of "Japan Real Estate Office" that we used when canceling I shall lose. (3) The "Japan Real Estate Office" member will preliminarily agree that the content submitted by himself / herself will not be deleted even by the cancellation procedure. (4) When the member of "Japan Real Estate Office" completes the cancellation procedure or when the contract under this agreement between the Company and the "Japan Real Estate Office" member ends Even, Four. Registration and management of login accounts, etc. 5. About Privacy, 6. About use of "Japan Real Estate Office" (1), (2), (4), (5) , 7. Disclaimer, 8. Copyright, property rights and other rights, 9. Prohibited acts, 12. Applicable law and jurisdiction are still valid. The Company shall be able to change the contents of these Terms, in which case it shall notify by notice on "Japan Real Estate Office" and other methods that we deem appropriate I will. If notified, the change will take effect and the customer accepted the change.